XENIA — Commissioner Alan Anderson is running for re-election to the Board of Greene County Commissioners. Anderson has served as commissioner for 12 years and has helped produce 12 successful budgets. He has reduced real estate taxes and has not increased sales tax during that time. Prior to being commissioner, Anderson had been the law director for Beavercreek Township and Beavercreek Fire Department for more than 15 years. He was also the solicitor for the villages of Yellow Springs, Jamestown and Clifton for many years. As an attorney in Xenia, Anderson worked on the formation of the City of Beavercreek. He has also represented many businesses and individuals. As an attorney and a small business owner he has years of experience in finance, balancing accounts, real estate and taxes. Most recently, the commissioners moved to support the U.S. Route 35 Super Street Project, expansion of the Greene County Airport facility, and extension of water and sewer services. They have worked with the sheriff to reopen jail cells and have added a body scanner to keep drugs out of the jails. Anderson was a co-founder and is currently the president of the Greene County Men’s Christian Fellowship which meets at the Xenia Adult Recreation and Services Center. He has volunteered as a member of the Building Code Appeals Board, Public Defender Board and several local charity fundraising committees. 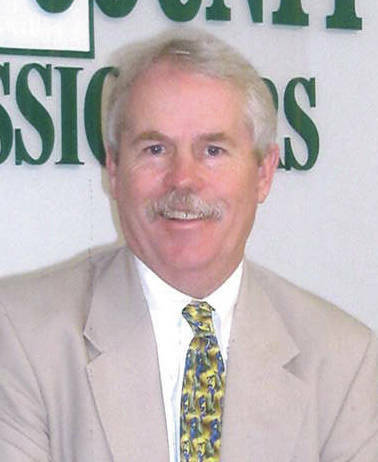 Anderson was also selected as the sole commissioner in the state to serve on the Ohio Farmland Preservation Board. Anderson and his wife Kathy are in the farming business in Caesarscreek Township.